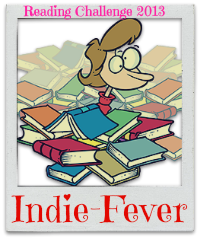 Thanks to Darlene Elizabeth Williams of http://darleneelizabethwilliamsauthor.com/, I found out about the 2013 “Indie Fever” Reading Challenge. Not only will participation force me to read faster than I otherwise might have, but here is another chance to spread the word about quality Indie fiction. I wish I had more time to read, because I would have entered at the “fanatic” level (28 or more Indie books), but as my current situation prevents fanaticism, I have entered at the “lover” level, hoping to rise perhaps to the “expert.” This will be grand fun! You can find a link to other participants’ blogs at http://b00kr3vi3ws.blogspot.in/2013/01/IndieFever.html. THEREFORE, the next book up for review is Requiem, by crime author Bill Kitson’s HF-writing alter ego, William Gordon. It seems that Mr. Kitson has chosen a publishing route similar to that of Joan Druett, who was interviewed back in July: simultaneously self-publishing and working with a mainstream house (Hale). I would like to continue our series “From Mainstream to Indie” with an interview with Mr. Kitson, if he is amenable, at some point. « Review: The Concubine’s Gift by K. Ford K.